Reverse mortgages have provided numerous senior homeowners with additional income by tapping into a property’s accumulated home equity to withdraw tax-free cash. However, recent changes to the FHA-insured reverse mortgage program, known as a Home Equity Conversion Mortgage (HECM), have given borrowers another option. These changes allow them to purchase a home by performing a specialized reverse mortgage through the HECM for Purchase program. Reverse mortgage borrowers can even circumvent the standard mortgage application process, with no mandatory credit score or income verification, making home purchase simple and convenient for senior homeowners. 1. Check the HUD eligibility guidelines. Regarding basic reverse mortgage requirements, borrowers must be a minimum of 62 years old, and the reverse mortgage must apply to a primary residence. Before considering a reverse mortgage, ensure that you qualify by visiting the HUD Reverse Mortgage Information page. 2. Begin saving up. When purchasing a home with a reverse mortgage, borrowers will be required to pay the difference between the reverse mortgage funds and the home’s purchase price, in addition to any buyer closing costs. Also, lenders will not accept money loans from relatives or credit card advances to cover this difference. 3. Contact a real estate agent. With a real estate agent, borrowers will have help finding a property that suits their individual needs. Before looking for a home, you should inform the agent that you intend to use a reverse mortgage to finance the purchase, as this will limit the search to properties which meet HUD criteria. After locating some potential homes, schedule showings for a closer inspection to narrow down the search. 4. Gather documentation. To purchase a home with a reverse mortgage, borrowers will need to present proof of income and assets, through such documentation as pay stubs, social security statements, and bank statements. While lenders will not consider credit score and history, borrowers must establish that they can afford to pay housing costs, including homeowners’ insurance premiums, property taxes, and any up-front fees. 5. Find a Lender. To find the optimal reverse mortgage lender, utilize online search tools to compare rates and quotes from nearby lenders in your area. Once the right lender has been located, request a mortgage pre-approval from the lender in writing, which will contain the amount of money which the lender is willing to fund. With pre-approval, borrowers will be able to better negotiate with sellers, having already taken the first step toward a new mortgage loan. 6. Request comparable home sales data. When determining a purchase price, comparable sales can help to assess the value of the property. Ask your agent to prepare an offer based on comparable home sales data. If necessary, make counteroffers to the seller to reach a compromise. 7. Schedule a home inspection. Properties purchased through the HUD HECM for Purchase must be examined by a licensed professional to verify that the home is in satisfactory condition. 8. Choose a payment schedule. Determine which payment schedule will best fit your circumstances; borrowers can receive a monthly fixed sum, open a line of credit to draw upon, or arrange a mix of both options. Furthermore, borrowers should decide how long the payments should continue, whether for a set number of months or until the limit on the reverse mortgage has been reached. 9. Finalize the reverse mortgage process. Once you have selected your repayment schedule, complete the reverse mortgage loan application by providing any additional requested documentation. Borrowers will need to sign the agreements allowing the transaction and facilitating the reverse mortgage, such as a statement which specifies the borrower’s intent to occupy the home. Through these nine simple steps, senior homeowners can utilize a reverse mortgage for a home purchase with minimal issues and stress. Regardless of the reasons behind the purchase, utilizing a HECM loan when buying a home will provide borrowers with increased purchasing funds and additional flexibility. Retire to a senior community. With no monthly mortgage payments, reverse mortgages can help seniors to access additional income and preserve their savings. In addition, borrowers have no immediate obligation to repay the loan and can continue to inhabit the home as long as the property is the primary residence. Titleholders must be 62 years or older. The purchased property must be the borrower’s primary residence and must be occupied within 60 days of closing the loan. Purchased properties can only be single-family homes, 2-4 unit dwellings, or FHA approved condos. Borrowers must pay the difference between the purchase price of the new home and the funds acquired through the HECM loan. Since the amount of funds which borrowers can receive through a reverse mortgage depends on a variety of factors, determining an amount for a down payment will differ from borrower to borrower. Older borrowers will not be required to put forth as much for a down payment. Given the current interest rate trends, a 65 year old borrower should expect a down payment of approximately 35%-40% of the home’s purchase price. Inherently, reverse mortgage involves a certain degree of risk, as homeowners fundamentally borrow against the equity accumulated within their property. Mortgage Insurance Premiums (MIP). With private mortgage insurance fees, borrowers can never be liable for any debt which exceeds the home value at the time of the sale. HUD Counseling. 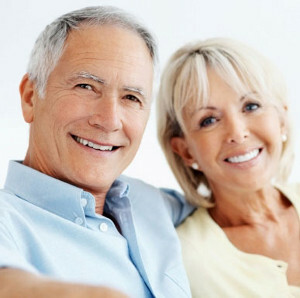 Due to the unique and confusing characteristics of reverse mortgages, borrowers must attend a mandatory, independent HUD counseling session, which allows borrowers to learn more about the program, as well as the potential risks and any applicable alternatives. Non-recourse loan. As a non-recourse loan, reverse mortgages will not increase a borrower’s debt if the home value decreases; basically, borrowers and heirs of borrowers will not be held responsible for any reverse mortgage debt which exceeds the mortgaged home value.